New Jersey defines three categories of criminal homicide. They are murder, manslaughter, and death by auto. Each of these categories contain subcategories. The subcategory for a particular matter will affect some aspect of the sentence if the person is convicted. This page discusses all three categories, and their subcategories. Additionally it discusses the related topic of aiding suicide. Not surprisingly, the law of homicide (like many laws) is complicated and convoluted. This page can sensitize visitors to the different categories and subcategories. Detailed analyses beyond that, however, would require a more traditional conference with one of the Criminal Lawyers in New Jersey™. The New Jersey Code of Criminal Justice provision that defines murder is N.J.S. 2C:11-3. Murder falls into any of three separate types. The first is when the actor purposely causes death, or serious bodily injury resulting in death. The second is when the actor knowingly causes death, or serious bodily injury resultng in death. Neither of these two types require “malice aforethought.” Unlike law in some jurisdictions, and unlike New Jersey law before adoption of its Code of Criminal Justice, a person can now be convicted of murder in New Jersey on the basis of a pure spur-of-the-moment action. The third type of murder in New Jersey is called “felony murder.” Felony murder occurs when one person causes the death of another during the commission, or attempted commission, of any of what are called “predicate crimes.” Those predicate crimes are robbery, sexual assault, arson, burglary, kidnapping, carjacking, criminal escape, and terrorism. The death that results may have been completely unintended. And the person that caused the death need not have been the person committing (or attempting to commit) the crime. Thus, for example, if a security guard shoots at a robber, but hits and kills, instead, a bystander, the robber can be convicted of felony murder. Same result if stress of the event causes a bystander to collapse and die of a heart attack. The robber cannot, however, be convicted of felony murder on the basis that the person who dies was one of the participants in the robbery. Persons convicted of murder in New Jersey must serve a minimum of thirty years in prison before becoming eligible for parole. Never less. The maximum term is life. Some situations will require a life sentence without parole. These situations include the victim being a law enforcement officer murdered during the performance of his duty, or the victim being under the age of fourteen and the act occurring during commission of a sexual assault or criminal sexual contact. Our legislature has also defined a complex combination of factors that will require life without possibility of parole to be served in a maximum security prison. New Jersey has abolished the death penalty. The New Jersey Code of Criminal Justice provision that defines manslaughter is N.J.S. 2C:11-4. Manslaughter can be either non-aggravated manslaughter or aggravated manslaughter. Non-aggravated manslaughter is commonly referred to as just “manslaughter.” Both manslaughter and aggravated manslaughter, in turn, each arise in either of two situations. The first form of aggravated manslaughter happens when the actor recklessly causes death under circumstances manifesting extreme indifference to human life. The second form occurs when the actor cuases death of another while fleeing or attempting to elude a law enforcement officer. The death of a passenger in the car, however, will not trigger this second form of aggravated manslaughter. All aggravated manslaughters are crimes of the first degree. The period of imprisonment for the first form, however, is greater. Manslaughter, also, arises in either of two situations. The first situation is recklessly causing death. Under this form of manslaughter, the factor of “circumstances manifesting extreme indifference to human life” present in aggravated manslaughter is not present. The second situation constituting manslaughter is causing death that, but for being committed in the heat of passion resulting from a reasonable provocation, would otherwise be murder. Manslaughter is a second degree crime. The final form of homicide defined in New Jersey law is vehicular homicide. The New Jersey Code of Criminal Justice provision that defines death by vehicular homicide is N.J.S. 2C:11-5. In the words of the statute itself, “Criminal homicide consitutes vehicular homicide when it is caused by driving a vehicle or vessel recklessly.” Note, therefore, that the “vehicle” involved in vehicular homicide can be a motorcycle or boat--it need not be a car. Vehicular homicide is normally a second degree crime. It becomes a first degree crime, however, if the driver was driving while intoxicated and the event occurred on or within one thousand feet of school property, or in a school crossing. A person acts recklessly with respect to a material element of an offense when he consciously disregards a substantial and unjustifiable risk that the material element exists or will result from his conduct. The risk must be of such a nature and degree that, considering the nature and purpose of the actor's conduct and the circumstances known to him, its disregard involves a gross deviation from the standard of conduct that a reasonable person would observe in the actor's situation. N.J.S. 2C:11-5 then goes on, however, to supplement the Code definition of recklessly with specific examples of behavior from which recklessness might be inferred. Those examples include falling asleep after twenty-four consecutive hours without sleep; driving while intoxicated; and operating a hand-held cell phone. Persons convicted of vehicular homicide can eventually become eligible to have their criminal records expunged. Vehicular homicide convictions are the only form of homicide convictions that can ever be expunged under present New Jersey expungement law. Attempted suicide is no longer a criminal offense in New Jersey. However, New Jersey law specifies that it is illegal to purposely aid another to commit suicide. The specific statute is N.J.S. 2C:11-6. If a suicide actually results, purposely aiding in its commission is a second degree crime. If the suicide is not consummated, the aiding is a fourth degree crime. Assisting someone in exercising his right to terminate life support, or to refuse medical treatment, does not constitute aiding suicide. Be aware, however, that the line separating legal action from illegal is thin. It is a line that is very easy to cross. Homicides, whether murder, any form of manslaughter, or even vehicular homicide, are among the most serious of offenses defined in New Jersey's Code of Criminal Justice. 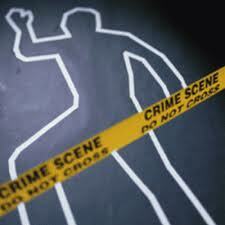 Criminal Lawyers in New Jersey™ Allan Marain and Norman Epting, Jr. have handled and tried numerous homicide cases. Both are available to discuss homicide charges against you or someone close to you. Page last updated 20 August 2017, and displayed Thursday 18 April 2019, at 06:17:52 EDT.